An Echinacea seedhead consists of several main features. The receptacle is the head of the inflorescence, excluding the peduncle, or the stem of the inflorescence. 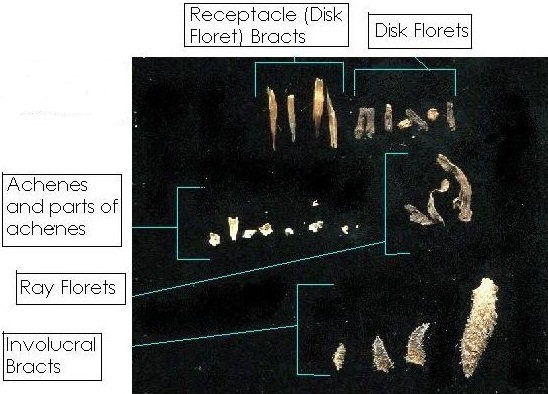 The receptacle has two types of florets and achenes: ray and disk. 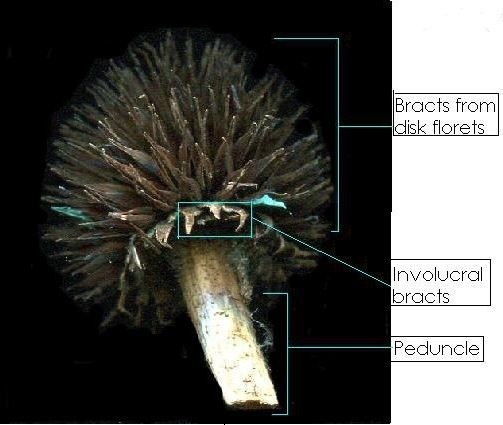 The disk florets contain achenes and have bracts, sometimes called receptacular bracts. These bracts are sometimes deciduous, falling off after the process of cleaning. The ray florets are beneath the disk florets, circling the base of the head. They also contain achenes and have bracts called involucral bracts, which are hairy. The ray achenes are sterile, while the disk achenes are not. The ray achenes are generally three-sided, while the disk achenes are four-sided. Achenes are the fruits of the receptacle, and may or may not contain seeds, depending on whether the floret was pollinated. Figure 1: A cleaned receptacle. 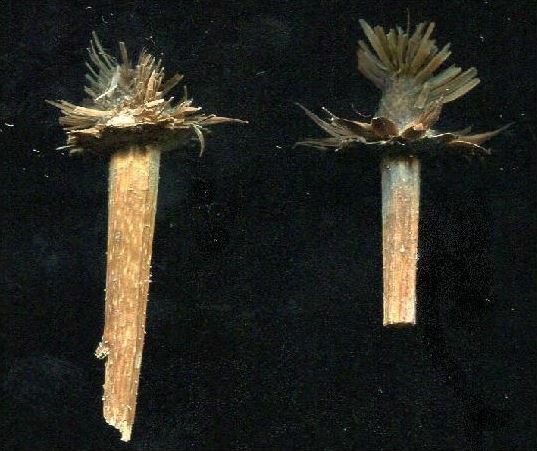 All of the achenes have been removed from this seedhead, leaving behind the bracts. Figure 2: Two receptacles of varying sizes. 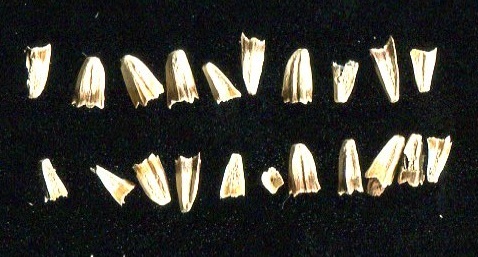 Figure 3: Several achenes. These are individual achenes, removed from the seedhead and without corolla tubes attached. 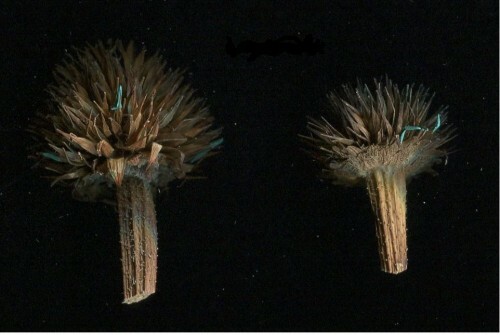 Figure 4: Achenes with and without the corolla tube. The achene on top does not have a corolla tube, while the achene below it does. These are disk achenes. Figure 5: These are receptacles with few or no persisting bracts. Occasionally, most of the bracts will fall off in the process of cleaning. These bracts are referred to as deciduous bracts. Figure 6: Common chaff found on Echinacea heads.